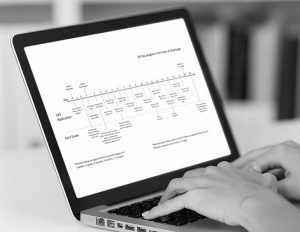 Guideway Care / Services / What is Care Guidance? Care guidance is a program of non-clinical interventions that provides patients with support for the whole spectrum of health. Care guidance goes beyond mere patient navigation—bridging gaps in care, creating patient behavioral change, and uncovering and addressing the hidden barriers to care and well-being within social determinants of health. Health care providers are increasingly answerable for quality metrics that are influenced by what happens outside facility walls, and attempts to address these issues with traditional patient navigation programs or other expensive clinical resources have proven unsustainable. Meanwhile, patients find themselves unequipped to navigate an increasingly complex health care system and struggle to access the resources and support needed to achieve optimal outcomes. Moreover, clinical resources express unhappiness at the huge burden of non-clinical activities they are called upon to perform. Guideway Care’s care guidance services bridge the gaps patients experience when navigating the health care system, in addition to addressing many non-clinical factors that impact patient outcomes and experience. The program seamlessly embeds within your current workflows as an enhancement to functionality, thereby eliminating unwanted process interruptions. We support and extend your existing clinical resources, improving their efficiency and job satisfaction. Care guidance is delivered through a combination of specially trained and managed care guides, evidence-based protocols, and innovative technology. The person-to-person and technology-enabled interactions are designed to increase patient health literacy, promote patient behavioral change, remove barriers to care, and ultimately improve patient outcomes and satisfaction. 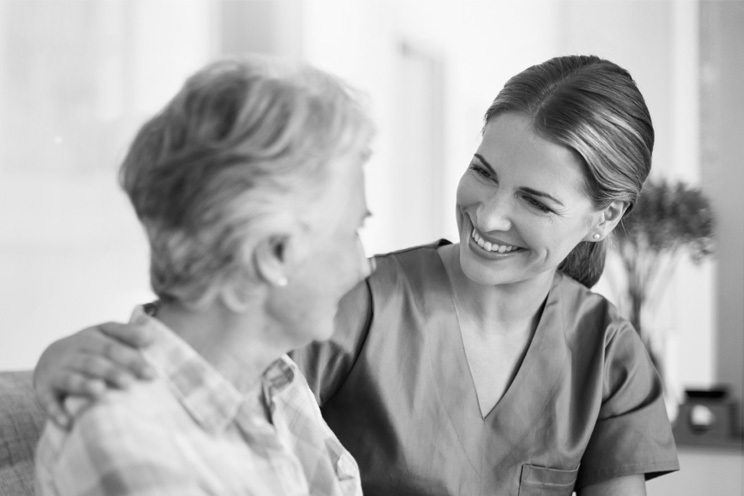 Guideway’s care guides are non-clinical employees hired, trained and managed by Guideway to provide effective, efficient patient support, allowing everyone on the care team to work at the top of their licensure/skill set. Guideway selects care guides using a right fit hiring method and provides extensive training specific to the condition/disease state of the patients with whom the care guide will be working. The care guides are placed within the health system, integrating into your existing care team. Care guides provide support for patients through in-person, phone, and text interactions. Guideway provides ongoing management and training for care guides, ensuring success for the care guides and the patients they support. Guideway’s evidence-based, disease- and condition-specific protocols ensure no one falls through the gaps. Many existing navigation programs offer a one-size-fits-all approach. Guideway’s care guidance programs are built on evidence-based protocols targeted to each disease state/condition with specific action steps and targeted follow-ups. 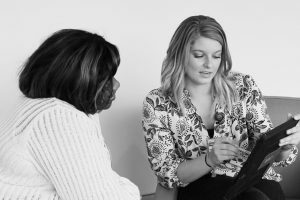 These protocols ensure that care guides offer proactive, appropriate support, and no one falls through the gaps. The Guideway Care technology platform is a comprehensive care guidance solution, and includes interfaces, predictive analytics, protocols, communications platforms, rules engines and structured reporting, including the ability to solicit, store, and mine patient-reported outcomes. The ability to track activities and see a system-wide view of the patient enables Guideway to offer a program with a proactive, results-driven approach. Guideway’s technology platform helps ensure that patients get the right support at the right time, and helps drive scale for your care guidance efforts. Guideway also offers a digital health valet that acts as a virtual personal assistant for patients and care guides. The digital health valet provides reminders, prep instructions, education and more via text, helping patients be prepared and empowered in their health care journey, and supporting the care guides’ efforts. The digital health valet reaches patients with support that is pertinent, relevant and timely. 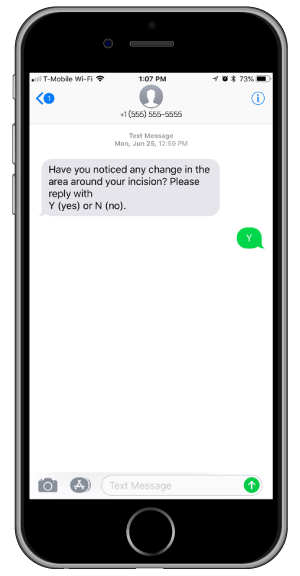 Text interactions reach patients where they are, and are well-received by patients. For example, one site using our communications engine boasts a 99.1% acceptance rate.